DUBLIN city councillors have given the green light for an extension to the popular bike rental scheme in the capital, writes Ailish O'Hora. It is understood an additional 100 new bicycles will be made available for city residents and tourists to use over the coming weeks. In return for the extension, the company behind the scheme -- JC Decaux -- has been given free advertising in five Dublin city centre areas. These include Nassau Street and Lower Mount Street on the southside of the city, and Earl Street on the northside. The advertising will appear on bus shelters and stand-alone structures. Councillors last night decided to defer a vote on one advertising site location outside the Xtra Vision store in Dublin 4's Upper Baggot Street. METRO North and the DART underground will go ahead as planned -- but there is no money to build Luas extensions, expand the inter-city rail fleet or buy any new buses. The public transport programme, on which €5.7bn will be spent up to 2016, will focus more on railway safety and planning than actually delivering the Transport 21 programme. Gone is the rail-link to Navan and the extensions to the Luas network. The Western Rail Corridor from Tuam to Claremorris has also been put on hold. While the new DIT campus will go ahead, there's no money to build the Luas Broombridge extension to serve it. The Government has also ruled out expanding existing Luas lines because passenger numbers are falling. But Metro North, which is to cost €3.7bn, and the DART underground (€2bn) are priorities. However, both projects depend on government approval. There will also be continued investment in cycling routes. Doubts have been cast over the planned opening of the €380 million national convention centre in Dublin’s docklands after it emerged that the development does not have required sewerage facilities. The convention centre consortium, led by Treasury Holdings, was required to build a sewage pumping facility under planning conditions for the development. However, just two months ahead of the centre’s planned opening, construction of the pumping station has yet to begin. The Spencer Dock development, now known as The Convention Centre Dublin, can hold up to 8,000 people but is currently connected only to the local drainage network which Dublin City Council has said is already operating to full capacity. The temporary licence granted by the council for the connection to the local sewerage outfall during the construction phase of the development expires at the end of this month. The council said yesterday it is awaiting details of when it was proposed to start building the permanent pumping station. The centre already has a large number of advance bookings including conferences of the EU Geriatric Medicine Society and the European Dialysis Transplant Nurses Association, both due to take place in September. Local Labour councillor and member of the advisory council of the Dublin Docklands Development Authority Kevin Humphreys said he did not see how the centre could open without causing major pollution. “I am deeply concerned and angry that the opening of such a major investment project in Dublin city should be delayed by a lack of planning to put in proper sewerage facilities,” he said. He said Treasury Holdings had acted irresponsibly in not having the pumping station in place, when the centre itself had been largely completed since last April. 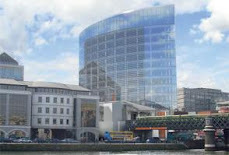 It is understood the delay in building the station is due to a dispute over planning issues between Treasury Holdings and the Dublin Docklands Development Authority. Treasury Holdings yesterday said it would build the sewage pumping station as soon as it received approval from the authority. A spokesman for the authority said it was carrying out due diligence on the application and when all compliance issues had been examined it would make a decision. The need for a new pumping station, which could pump about 600 litres of sewage per second from the convention centre at Spencer Dock, as well as the North Lotts site, which houses the O2 theatre, to the waste water treatment plant at Ringsend was identified in a Dublin City Council report in 2002. The new pumping station was the “only viable solution” to the sewerage needs of the docklands area, the council said, and was essential if there was to be any further development at Spencer Dock. The docklands authority subsequently included the pumping station as a requirement of planning consent for the convention centre. One of the largest events planned for the centre to date, the International Bar Association conference with 4,500 legal delegates, is due to take place in October 2012. THE DEVELOPERS of the €350 million incinerator proposed for Poolbeg in Dublin, which is opposed by Minister for the Environment John Gormley, have requested a meeting with Taoiseach Brian Cowen. Scott Whitney, president of Covanta Europe, told a press conference in Dublin yesterday the company had been in touch with Mr Cowen’s office. “We’ve suggested that at some point a meeting with the Taoiseach might be useful,” Mr Whitney said. A spokeswoman for the Taoiseach confirmed the request for a meeting had been received and said it was “under consideration”. The proposed incinerator would be located in Mr Gormley’s constituency of Dublin South East. Mr Gormley last week published a draft waste policy plan which would make such incinerators unviable economically. He said the proposed project had been extensively vetted, reviewed and approved by “so many Government agencies that I can hardly keep track of them anymore”. He said the application for a foreshore licence was lodged in December 2008 and was still pending. Mr Whitney said the construction process had been suspended since May 7th, although site clearance and some excavation had been carried out, “and we’re ready to ramp up at any time when the circumstances dictate”. He claimed the lack of a foreshore licence was holding up the project. Asked if Covanta would consider suing the State if the project did not go ahead, he said “we wouldn’t rule anything out at this point”. Mr Whitney said that Covanta had invested “tens of millions of euro to date” in the Poolbeg project. THE OPERATORS of the national convention centre in Dublin are to be granted an extended temporary licence to use the city’s drainage facilities in the lead-up to its planned official opening in September. As reported in The Irish Times yesterday, construction of a sewage pumping station for the centre on Dublin’s docklands has yet to begin, despite being a requirement of the planning permission for the development. However, the project’s developer said last night it was “satisfied it will have a licence to discharge sewage” from the centre so that it can open as planned on September 7th and remain in operation thereafter. The Spencer Dock Development Company, led by Treasury Holdings, has funded and built the €380 million convention centre as a public-private partnership project. In a statement, it said it had “committed to build the pumping station and provide its agreed funding on receipt of a fully compliant planning approval” from the Dublin Docklands Development Authority. Doubts had been cast over the planned opening of the centre, as a temporary licence granted by Dublin City Council for its connection to the local sewerage outfall is to expire at the end of the month. The council said yesterday, however, that it would grant an extension until the end of September. The docklands authority said yesterday that the developer had only recently sought to make changes to the planned sewerage facilities for the centre. As a result it had not yet been able to grant consent for the sewerage element of the project. The authority, which is responsible for planning decisions on the facility, said it had received an application for consent for the changes from the developer only within the last month. The authority had initially given planning approval for the pumping station in 2005, it said. However the developer subsequently sought permission to alter the station to connect it to an adjacent planned residential complex, including senior citizens accommodation. The complex and that pumping station were never subsequently built. A spokesman for the authority said that because the latest application for changes was only recently received and because of the nature of the changes, careful consideration of the proposal was required. “Our first responsibility is to make sure health and safety in the area is not compromised and there are no malodorous emissions into the area.” He said the authority said it expected to reach a decision within weeks. It is estimated that the sewerage facility, which would pump about 600 litres of sewage per second from the convention centre at Spencer Dock to the waste water treatment plant at Ringsend, could be built within six to eight months. The facility is connected to the local drainage network which Dublin City Council has said is already operating at capacity. Fine Gael environment spokesman Phil Hogan described the situation as “a fiasco” which was the latest example of “the lack of oversight and inadequate planning expertise” deployed by the docklands authority. The authority had already exposed taxpayers to a potential €500 million loss on the Irish Glass Bottle site, Mr Hogan said, and the reputational and economic damage which would be caused if planned events at the convention centre had to be cancelled over bad sewerage planning would be a major setback for Dublin city. “The docklands authority has come to represent the waste, incompetence and excess of the celtic tiger years under Fianna Fáil. And it sums up the lack of joined-up thinking that has brought Ireland to the brink. “If there’s anything that needs to be flushed down the toilet, it’s the [docklands authority],” he said. AN APPLICATION is to be made to the High Court seeking a judicial review of the decision to grant a licence to Fingal County Council for a landfill site at Nevitt near Lusk in north Co Dublin. Gemma Larkin of Walshtown, Lusk, Co Dublin, a member of the Nevitt Lusk Action Group (NLAG), is seeking a review of the decision by the Environmental Protection Agency (EPA) in May this year to grant a licence for the landfill site. The 300,000-tonne capacity landfill site, in which an estimated one-sixth of the State’s waste is to be dumped, is subject to more than 250 conditions relating to environment management operation, control and monitoring. It was one of the most contested developments in Irish planning history, and the EPA held two public hearings about the site. The action group has already referred the agency’s decision to the European Commission and the European Petitions committee. Papers are to be lodged today with the High Court, while the EPA, Fingal County Council and the Department of Environment, as notice parties to the case, have been informed of the application, being made on four grounds. Ms Larkin said the licence granted contravenes the EU ground-water directive and would destroy ground-water in the area, a major horticulture location. The applicant also says “bottom ash” – the residue after incineration from the Poolbeg incinerator complex at Ringsend – will be exported to Fingal. Ms Larkin claimed the original intention was to temporarily store bottom ash at Lusk and treat it to make it safe. She claimed bottom ash from incineration has never been landfilled before and requires a strategic environmental assessment, but that there had been no investigations or examinations, and no review had been made of how it would be transported or what environmental effect that transportation would have. Ms Larkin also claims the existing landfill site at Lusk is unauthorised and has not been properly remediated for use as landfill. The applicant also alleges that the Aarhaus Convention, which obliges member states to allow citizens access to justice at reasonable cost, has not been implemented through legislation by the State. Ms Larkin said the convention allows concerned citizens to take legal action at reasonable cost, but such cases in Ireland can take years and cost millions. Provision is being made to allow citizens to bring proceedings on issues of public interest where they would not face paying the State’s charges if they lost, but would still have to pay their own costs. CLARE COUNTY Council has given the go-ahead for a €5 million national surf lodge on Lahinch’s prom in spite of concerns by local surfers. Earlier this year, Séamus Carroll lodged plans to demolish the existing McDonald’s amusement arcade on Lahinch prom and replace it with the new watersport facility. This would include an indoor “flow-rider” or wave machine for surfers or learners to practise. The four-storey plan over ground, with one storey below ground level, is to comprise a 29-room activity centre, two retail units, bistro, board rental unit and activity centre. The proposed development lies opposite the Spinnaker development and adjacent to Lahinch Sea World. The proposal sparked opposition from the Lahinch-based West Coast Surf Club. A submission lodged by club chairman Dave Flynn stated that the proposed building “is inappropriate for its setting”. He added: “The skyline of Lahinch, particularly when viewed from the promenade, beach or the sea, is already distorted with development of a scale not generally associated with a small town. “It is not desirable to further impact on this. We will also query the demand or requirement for additional retail space when there are currently several existing units, including recently constructed units, empty in the village. The owner of Ireland’s oldest surf shop, Tom Buckley, also objected. However, the council planner in the case stated that “the overall design concept and proposed usage lends itself to a creative form of architecture and gives an opportunity for an interesting development”. The council gave planning permission having regard to the urban nature of the site, the intended use of the proposed building and the policies of the current development plan. In its decision, it ruled that the plan would not seriously injure the amenities of the area or of property in the vicinity and would be in accordance with the proper planning and sustainable development of the area. The developer Mr Carroll has been requested to pay the council just under €300,000 towards upgrading local infrastructure. WATER SUPPLY in the greater Dublin area is on a knife-edge, with demand likely to outstrip available reserves within a few years, according to a report prepared by consultants for seven local authorities. The capital has no strategic reserves of water when it should have 10-20 per cent reserves at a minimum, while existing sources are operating near sustainable limits, the report by consultants RPS-Veolia JV states. Dublin city councillors this week approved the consultants’ main proposal to bring excess water from the basin of the Shannon river to meet needs in the east and midlands. The decision was taken by the council’s environment and engineering strategic policy committee (SPC) following a presentation by the consultants working for the Dublin Supply Project. It is expected to be confirmed by the entire council later this year and will then go to An Bord Pleanála following a six-month consultation period. The plan, the first major water supply project since the Liffey was dammed at Poulaphouca and Leixlip in the 1940s, will cost €470 million to construct over 10 years, with annual operational costs ranging from €8-15 million. The report says the Dublin region is again approaching the stage where new long-term, secure and sustainable supplies of water are critical to its development and to the performance of the State. “It has to be done; there is no other way,” said Fine Gael councillor Naoise Ó Muirí, who chairs the environment and engineering SPC. The cost of operating desalination plants was too high, while international experience showed it was very difficult to reduce leakage below 20 per cent, he added. There are currently four main water treatment plants in the greater Dublin region, which includes Kildare, north Wicklow and parts of Co Meath in addition to the capital. Their maximum output is between 540 and 550 million litres per day, while under normal circumstances demand is between 530 and 540 million litres per day. The lack of space capacity in the Dublin system contrasts with Paris, where three treatment plants operate at just 60 per cent capacity. The report says the fragility of the situation was starkly illustrated when increased leakages caused by last January’s cold snap led to restrictions in supply. Leakage from the system has been reduced from 42 per cent in 1996 to 28 per cent in 2002, but the report says that the maximum supply levels will be reached in the 2020s despite further efforts to reduce leakage. The report also points out that customer leakage losses average 65 litres per property per day, broadly comparable to the UK. It says this figure could be halved following the introduction of water metering. “If a new source is not provided, the consequences would be supply restrictions of increasing frequency with impacts on social and economic interests combined with constraints on new development including employment generation in the region,” it warns. A number of multinationals with plants in the region, such as Diageo, Intel and Wyeth, have expressed concern about the security and/or quality of water supplies, it is understood. The report considered 10 different supply options, seven of them with the Shannon as the source, as well as a number of sites for desalination. The preferred option, which involves taking the water from a point north of Lough Derg and piping it to a reservoir at a cutaway bog at Garryhinch, close to Portarlington, Co Laois, where it would be treated and distributed, involved the minimum cost, according to the consultants. The Shannon proposal has met strong opposition from communities in the region, and local and national politicians. WHETHER NEW buildings in Dublin should be relatively high or low has become the most contentious issue confronting councillors as they begin a series of special meetings today to deal with the draft Dublin City Development Plan 2011-2017. On the one hand, An Taisce maintains the current draft prepared by city planners “will fuel a future splurge of land speculation and undermine decades of the planning control that has maintained Dublin as a historic low-rise major European city”. On the other, the Construction Industry Federation (CIF) has warned that attempts by councillors to cap building heights “would result in the relocation of office and other commercial development outside Dublin . . . and act as a serious deterrent to urban regeneration”. At issue is what constitutes a “high-rise” building. According to the planners, it would be 16 storeys or more, with “medium-rise” defined as eight to 16 storeys and “low-rise” as up to eight storeys – roughly double the prevailing building height in the core of the city. Several councillors are seeking to reinstate a key paragraph in the current city plan that is omitted from the draft. This states that the council “acknowledges the intrinsic quality of Dublin as a low- to medium-rise city and considers that it should predominantly remain so. According to the planners, continuing with this policy “would seriously undermine the strategic approach to developing areas” such as Grangegorman and the zones around Connolly Station and Tara Street station, where further high-rise development is envisaged. The planners say they have “no objection” to a more specific definition of low-rise “provided it does not result in a policy cap of 18m (six-storey residential or four-storey office) over the city, as several of the amendments tabled by councillors are now seeking to do. “The essential proposition in these motions is that . . . the definition of high should be reduced from 50m to 30m with mid-rise defined as 18m to 30m; and all the remaining areas of the city to be retained at a maximum height of 18m”, the manager’s report says. This “would have severe repercussions for the city in relation to economic renewal and competitiveness”, it warns, adding that the “inevitable result would be a flight of office development” to surrounding local authority areas and “less rates income”. The planners also maintain that a 30m-cap on medium-rise buildings would “inevitably result in bulky ‘groundscapers’ rather than more elegant buildings such as Liberty Hall” (now planned to be demolished), saying this would “undermine the character of the city”. They say a six-storey cap on residential development would also “undermine the promotion of vibrant new, mixed-use neighbourhoods”, such as Herberton (built on the site of Fatima Mansions), where the height ranges from three to eight storeys. An amendment by some councillors seeking an “urban design statement” on all proposals two storeys higher than existing buildings in the vicinity is “considered unduly onerous” by the planners, given the “numerous safeguards” incorporated in the draft plan. Their drive for more height and density in the city is strongly endorsed by the CIF. Its director of planning, Hubert Fitzpatrick, said if proposed caps were imposed in certain areas, “investment . . . will go elsewhere, representing a significant opportunity cost for the entire economy”. Limits on the height of apartment buildings would “push developments away from areas that have seen substantial investment in public transportation and related physical and social infrastructure”, resulting in “further urban sprawl and continued underdevelopment”. But An Taisce’s heritage officer, Ian Lumley, said it was clear that the city council’s management was “pushing through” a new Draft Development Plan for adoption by elected councillors, intended to fuel a future property boom by “scrapping” existing controls on height. “Amid the general fiasco that has characterised Irish planning over the last 60 years, there was at least one achievement of maintaining Dublin as one of Europe’s low-rise major historic cities”, he said. For whatever reason, this was to be “disregarded” by the draft plan. “Rather that providing clarity, the plan is going to create years of planning rows and appeals to An Bord Pleanála if a new boom is generated,” he said. The Competition Authority has rejected a number of complaints by the Irish Waste Management Authority (IWMA) about the planned incinerator at Poolbeg in Dublin. Dublin City Council said the Competition Authority had confirmed that 'there is no breach of Irish competition law' in relation to the Dublin Waste to Energy plant at Poolbeg. Four complaints made "have been rejected in their entirety by the Competition Authority,” the council said. The IWMA said that the authority had stated 'one complaint merited further investigation at this time, one complaint was a matter for the EU Commission to consider further, three complaints raised future anti-competitive threats', one complaint was upheld, two complaints required further information for the authority to proceed further and one complaint 'did not give rise to competition concerns'. * that there was a price-fixing arrangement in breach of the Competition Act. The IWMA said that, with regard to some of the complaints, the Competition Authority “acknowledges that it does not have enough information to proceed further at this stage”. A spokesman for Minister for the Environment John Gormley said - “We weren’t a party to the complaints, so we haven’t received the response at this stage”. Mr Lyons said the IWMA did not object to the Poolbeg plant in the 10 years it was going through the statutory processes, “when they had plenty of opportunity to make their views known. Taxpayers will face a compensation bill running into hundreds of millions of euro if Environment Minister John Gormley succeeds in new moves to scupper the Poolbeg incinerator, according to Dublin City Council. The council has warned of "serious financial repercussions" for the State if the minister goes ahead with major changes announced last week. These include severe restrictions on the amount of waste going to the incinerator plant when it eventually opens and the imposition of levies on waste contractors sending material there. Mr Gormley, who shares a constituency with the incinerator, said this could make the €350m project "unviable". However, in a hard-hitting reaction to the minister's new waste policy unveiled last week, the city council said it had a contract for the construction of the waste to energy facility. "This contract was entered into in line with current government waste policy and the current regional waste management plan," a council statement said. "Any proposal which might alter that policy at this stage, could have serious repercussions for the Dublin region and thereby the State - both financial and in meeting its commitments in relation to waste management," it warned. The council said the project was the the final piece of infrastructure needed for the Dublin region to achieve its aim of maximum recycling and minimum waste going to landfill. It had full planning permission from An Bord Pleanála, as well as a waste licence from the Environmental Protection Agency. It also had permission from the Commission for Energy Regulation to generate energy. Permission to supply energy to the national grid had been approved by the Department of the Environment. The National Development Finance Agency - on behalf of the Department of Finance - had also confirmed it was good value for money. The council refused to comment on the financial implications of not proceeding with the contract. However, the Irish Independent has learned that the State - and, ultimately, taxpayers - could face a compensation claim running into hundreds of millions of euro. Covanta, the US waste company behind the construction of the incinerator, accused the minister of having a prima facie conflict of interest in adjudicating on a foreshore licence for the plant when he is opposed to it. A spokesman said - "The minister is adjudicating on a project that he has said he is opposed to. He should remove himself from the adjudication process. There is a prima facie conflict of interest. This application has been in with him for the past two years." The minister has yet to have a face-to-face meeting with US Ambassador Dan Rooney over his failure to grant the foreshore licence for a water cooling system. Rejecting the conflict-of-interest claims, a spokesman for the minister confirmed that the foreshore licence was dealt with by a ministerial order and the process would be "fair and objective." Responsibility for such licences was only transferred to the department last January and some 700 applications were being considered. Incineration has been a cornerstone of repeated government waste strategies. Mr Gormley said having an incinerator capable to handling 600,000 tonnes of waste was totally incompatible with best international practice. "I'm not deviating one iota from this," he said at the launch of the new waste strategy. Mr. John Gormley, TD, Minister for the Environment, Heritage and Local Government, has launched a public consultation on a Draft Statement of Waste Policy. The Minister said the Draft Policy was intended to map the future of waste management for the next decade and beyond. Last November, the Minister launched a report underpinning the major review of waste management policy. The report, commissioned by the Minister on foot of a commitment in the Programme for Government, examined all aspects of waste management policy - from prevention and minimisation to the management of residual waste. The report was compiled by a group of Irish and international consultants led by Dr. Dominic Hogg of Eunomia Research and Consulting. “This is the next step in developing a resource-based and sustainable waste policy for Ireland. By providing for a strong competitive waste industry, I believe we will see delivery of a cost-effective service and high levels of environmental performance," said the Minister. * to provide the policies, incentives and flexibilities that will enable waste firms to continue to invest and innovate in delivering new technologies and additional jobs in the waste sector. Key elements of the policy include targets to reduce residual waste levels available for landfill and incineration, additional levies for landfill and incineration and new standards for the types of services consumers should expect. "This new draft waste policy is ambitious and it will have consequences. It will create jobs and enhance environmental protection - but, I have to be clear that it will inevitably have consequences for the size and location of residual waste infrastructure. The Minister also launched draft Regulations which would see a phased introduction of the provision of food waste collections for households. It is proposed that all authorised waste collectors would have to provide such a collection service for the main cities by July of next year, with the service being rolled out to other urban areas by January 2012. “These draft regulations are another step in ensuring Ireland is ready to meet its EU obligations for the diversion of biodegradable waste away from landfill,” commented the Minister. A third consultation was also opened by the Minister, as he reopened the consultation on an Environmental Report, prepared according to Strategic Environmental Assessment requirements, to inform the policy making process for waste management in respect of a proposed Section 60 policy direction on a proposed cap to incineration capacity as a proportion of municipal waste arisings. The Minister explained that he was reopening the consultation to allow those who had made earlier submissions - and others - to provide their views in light of the publication of both the report underpinning the International Review of Waste Policy and of the publication of the Draft Statement of Waste Policy. “I have always championed the role of public consultation in the policy-making process and this is why I am encouraging all sectors to participate in this important consultation,” concluded the Minister. All three consultations will be open for receipt of submissions until 1 October 2010. A LEADING academic has denounced decentralisation as a failed strategy which has undermined the institutional fabric of the state and become a charter for mileage claims, writes Anita Guidera. Professor Brigid Laffin, principal of the college of humanities at UCD, told the MacGill Summer School in Glenties, Co Donegal, yesterday that failures of accountability went beyond unethical behaviour to the performance of public institutions and those holding positions of responsibility. Citing the example of the 2003 decentralisation project, she said there was not a single developed country in the world that would have treated its public institutions the way they were treated in the decentralisation process. "It wasn't decentralisation. Decentralisation is a very good thing. This was a dispersal of public jobs throughout the country in the most extraordinary fashion and it went completely against the government's own spatial strategy," she said. "Decentralisation was costly. It increased the fragmentation of our public institutions. It is a charter for mileage claims and a high cost to the Irish public." She added that it had also failed politically. "Fianna Fail had its worst performance in the subsequent 2004 local elections," she said. Her call echoed criticisms of decentralisation by two other academics in Glenties this week. On Monday, Ed Walsh, founder of the University of Limerick, described the policy as daft and called for its reversal. Management consultant Eddie Molloy, meanwhile, called it the most scandalous political stroke of all time. THE Government is to consider extending a rent-to-buy scheme to all local authorities in an effort to shift the stock of unsold affordable homes. Under the scheme, tenants have an option to buy the home they are renting for an agreed price after a set number of years -- and the rent they have paid is offset against the cost of the property. Announcing details of a pilot project in Dublin City yesterday, Housing Minister Michael Finneran said that some city and county councils were unable to sell units and that he would decide by the end of the year if the scheme should be rolled out nationally. The move comes because of the collapse in the housing market which at one point left city and county councils with 3,700 unsold properties. Developers have offered similar schemes in an attempt to shift unsold stock, but this is the first time a local authority has engaged in a similar process. New figures show that just over 1,150 remain unsold, with almost half the units in Dublin (423) and Cork (104). Yesterday, Mr Finneran launched a new rent-to-buy scheme for Dublin City Council which will result in 91 units being sold at a discount to the market price. Under the scheme, the affordable home can be rented for up to three years at a discounted rate. The applicant has the option to purchase at any time during this term at an agreed affordable purchase price. Some 91 units are available in three developments -- Prospect Hill in Finglas, which will have 45 units, Herberton in Rialto (16 units) and Park View in Poppintree (12 units). They include apartments and duplex units. If the properties are sold, the scheme could be rolled out to other local authority areas. "First off, it can only apply to local authorities who have unsold affordables and have tried to deal with the existing criteria we have laid down to sell off units, like advertising and long-term leasing," Mr Finneran said. Senior executive officer with the council, Tony Flynn, said the scheme was devised because people interested in purchasing a home said they could not save money for a deposit because they were renting in the private market. "Taking that into consideration, we had a look at the private market and tried to come up with a scheme to suit affordable market applicants," he said. "We have come up with a methodology here which basically should alleviate some of the concerns out there." The council said that hundreds of people had inquired about the scheme yesterday. A REPORT into the devastating flooding that affected thousands of homes last winter has said the state’s response to the crisis lacked leadership, coordination and communication. The report has also suggested it is not good enough to have national emergencies spearheaded by people who are neither a senior minister nor a secretary general of a government department. The authors, the Oireachtas Committee on the Environment, also said the effort to coordinate state agencies during the crisis was confused. The committee has also called for a full independent investigation, by technical experts, to be carried out into what caused the flooding in the worst affected area, Cork’s River Lee basin. The report also suggested the state was not properly informed of the risks, managed them inappropriately and was insufficiently prepared and resourced. However, Taoiseach Brian Cowen said he believed the Government’s response to the flooding of November 2009 "went well". "I was very satisfied with the Government response. It was immediate and when we saw the prolongation of the adverse weather conditions we put in place emergency measures and contingency procedures, so I believe all in all things went well. If there are things that could be improved for the future, and I’m sure there are, we’ll wait to see what is in the report," he said. Environment Minister John Gormley said he also believed there was "real leadership" shown at the time. Committee chairman Sean Fleming disagreed, however. He said there was a distinct lack of clarity about who was in charge and the reaction was disjointed and confused. And, in contrast to past agricultural emergencies, when the relevant ministers were prominent, he said the members of Government were absent last winter. However, the Fianna Fáil deputy refused to finger the Government for ultimate responsibility. He said the confused response of state agencies and the rain were primarily to blame. And he said the ESB had a conflict of interest in flood management because it wanted to keep water levels high for electricity generation. Elsewhere, the committee said a single authority, the Office of Public Works, should be given ultimate responsibility for all aspects of management of the River Shannon. It also called on Mr Gormley to complete and publish his department’s delayed review of the flooding catastrophe. It said it wanted this published quickly but the department was not able to do this. However, the committee’s report was immediately criticised by victims of the flooding who said it failed to hold anybody accountable. The solicitor advising several victims of the flood which struck Cork city, and honorary legal adviser to the Cork Flood Action Committee Joe Noonan said there was no will to find out what happened and ensure a re-occurrence was prevented. He said the report should have found out who was accountable. "The Oireachtas committee report draws no conclusions about the responsibility for the flooding of Cork," he said. THE 40,000 hectares of land zoned for residential development across the country will be reduced to 12,000 hectares over six years, Minister of State for planning Ciarán Cuffe said. Mr Cuffe was speaking after the Planning and Development (Amendment) Bill passed its final stage in the Seanad yesterday by 27 votes to 20. He said the enactment of new planning laws would ensure that the right types of development were built in the right places at the right time. Under the legislation, local authorities will be required to review development plans and ensure correct levels of land are available for residential development. Staff at the Department of the Environment will begin work this summer on implementing the new measures. “At the heart of these new planning laws is a simple idea and that is to put the interests of our citizens ahead of any one interest group, be they property developers or landowners,” said Mr Cuffe. In a tweet, Mr Cuffe’s party colleague Senator Dan Boyle described the legislation as the “most significant piece of Green legislation in this session”. Earlier this year, some Fianna Fáil backbenchers expressed concerns about elements of the legislation, but Carlow-Kilkenny TD Bobby Aylward last night said he had received assurances it would “have no adverse effect”. Fianna Fáil Senator Brian O’Domhnaill said he welcomed a provision in the legislation “that allows for a further extension of five years to live planning permission applications”. He said this would provide “breathing space” for people who had achieved planning permission but, perhaps for financial reasons, were not yet in a position to start building their homes. DUBLIN CITY manager John Tierney has accused An Taisce of “gross misinterpretation” of facts and slurs against the integrity of council officials in its claims which prompted a planning investigation by Minister for the Environment John Gormley. Mr Gormley last month ordered a review of the planning systems of six local authorities which he said were the subject of “substantial complaints” in how they implemented planning laws and policies. Dublin and Cork city councils and Galway, Cork, Meath and Carlow county councils were chosen for review. The Dublin City Council review was based on a complaint from An Taisce that it had given permission for developments which were in breach of the city development plan in relation to height, scale zoning and conservation issues. An Taisce complained to Mr Gormley that the council “acted systematically in disregarding” the plan, contravened ministerial planning guidelines and showed “serious impropriety in the conduct of its functions”. It also claimed unnamed senior officials were “encouraging landowners and developers to lodge planning applications in breach of the Dublin City Development Plan and ministerial guidelines”. An Taisce made specific complaints in relation to the council’s handling of 23 planning cases including the high-rise complex for Seán Dunne’s Jurys/Berkeley Court site in Ballsbridge and the Carlton and Arnotts sites in the city centre. In his strongly-worded response, Mr Tierney said he would not comment on each case because of the “legislative position” where the Minister does not involve himself in individual planning applications. Mr Tierney said he would only refer to specific cases where it was necessary to correct inaccuracies in the submissions. He said in all cases, the council had full regard to the development plan and national and regional policies and guidelines where relevant. He said An Taisce’s submissions contained “substantial inaccuracies, misrepresentations and unsubstantiated allegations against this planning authority and its executives in the carrying out of our statutory duties”. Statements by An Taisce that a number of senior personnel were not fit or competent to hold their positions were a “slur against the integrity [and] professionalism” of these officials and should be withdrawn. Mr Tierney said this particular matter was receiving “further consideration”. An Taisce had misrepresented the facts in blaming the council for the property bubble, which showed its less than balanced approach to the council, he said. An Taisce yesterday said it was considering Mr Tierney’s submission to the review and would respond. THE LOBBY group Friends of the Irish Environment (FIE) has written to President Mary McAleese urging her to convene the Council of State with a view to referring the planning Act to the Supreme Court to test its constitutionality. A last-minute amendment to the Planning and Development (Amendment) Act means members of the public “will find it impossible to obtain legal representation if their costs will not be met, even when they win against the State”, it warned. In its letter to the President, the group claims this amending legislation, which was guillotined through the Dáil and Seanad last week, will prevent citizens taking cases to the courts – contrary to the Constitution as well as to EU directives. Under section 50(b) of the Act, each party “shall bear its own costs” and a court would only be entitled to award costs “in a matter of exceptional public importance and where [in] the special circumstances of the case it is in the interests of justice to so do”. The group said that “this will act as an absolute bar to anybody actually having an award of costs made in their favour, leaving even successful challengers to pay the enormous cost of the Irish legal system” – €120,000 to €140,000 for even a “simple case”. Barrister Oisín Collins said it was “difficult to see how a blanket removal of an entitlement to recover costs, except in the exceptional cases . . . could do anything other than create a clear impediment to those seeking justice having access to the courts”. In his review of section 50(b) for the group, he suggested several solicitors and barristers who were prepared to take cases on a contingency (“no foal, no fee”) basis would now be reluctant to do so, as their clients would have to bear their own costs. The “exceptional public importance” provision was “an extremely high and difficult bar to reach”, he said, adding: “I simply could not see any lawyers . . . engaging in litigation on a contingency basis having regard to this exceptionally high threshold. But Ciarán Cuffe, Minister of State with responsibility for planning, claimed that section 50(b) improved the current situation as, until now, litigants seeking judicial review could be liable for all costs. “Once the Bill becomes law they will only be responsible for their own costs. Last year, the European Court of Justice found Ireland to be in breach of its obligations under the environmental impact assessment and public participation directives by failing to ensure that applicants for judicial review were not exposed to “prohibitive costs”. Friends of the Irish Environment spokesman Tony Lowes insisted that section 50(b) “purports to implement the European legislation encouraging access to justice, but does the opposite” and was among the “hundred pages of amendments” made to the Bill with no explanatory memorandum. “We were told that if they did not get this Bill through now, as opposed to after the [summer] recess, they would be hit with daily fines from the EU,” he said. Senator Ivana Bacik (Labour) said the amendments deserved more scrutiny, particularly amendments that could have the effect of limiting access to the courts, and warned that section 50(b) would have a chilling effect on litigation in the environmental field. In response, Mr Cuffe said: “We do not want to see the courts being clogged by judicial review proceedings. How can we strike the right balance? This brings us back to the definition of pro bono publico, which means one is acting for the public interest. AN TAISCE has accused Dublin City Council of being “disingenuous in the extreme” in its response to a planning investigation ordered by Minister for the Environment John Gormley. The council was selected for investigation following complaints from An Taisce to Mr Gormley that permission was given for developments which were in breach of the city development plan in relation to height, scale zoning and conservation issues. Five other local authorities were selected for investigation based on separate complaints in relation to their planning practices. In his response to the investigation Dublin city manager John Tierney accused An Taisce of “gross misinterpretation” of facts, substantial inaccuracies, and slurs against the integrity of council officials in the claims submitted to Mr Gormley. An Taisce yesterday said the claims it made were backed up in its submission by references to the planning decisions which the council had made, while the council had failed to make a detailed response. The council’s response to the planning investigation was a “systematic evasion of the facts” it said. Attempting to play down the significance of the 23 planning cases identified by An Taisce by stating that 18,000 applications had been determined by the city council in the same period was disingenuous in the extreme, An Taisce said. Those cases that were highlighted were of major significance such as the Carlton cinema site, the Arnotts site and the Jurys/ Berkeley Court site in Ballsbridge, it said. Dublin City Council’s response also evaded the questions that were raised by An Taisce in relation to the council’s role in creating the property bubble through its planning decisions, An Taisce said. AN BORD Pleanála is to reopen its oral hearing into the latest Corrib gas pipeline route application, which involves tunnelling under the protected habitat of Sruwaddacon estuary in north Mayo. The appeals board has set August 24th as the date for the resumed hearing, which will assess new information and a fresh environmental impact statement to be submitted by Shell EP Ireland. Last November, An Bord Pleanála vindicated Rossport residents’ concerns when it found that up to half of the company’s second proposed route was “unacceptable” on safety grounds due to its proximity to housing. An Bord Pleanála advised that British safety risk thresholds, and a standard for hazard distances in the event of a pipeline failure, should be applied to the route and design. It also suggested the developers explore another route, up the Sruwaddacon estuary, and gave three months for further information to be submitted on the route, design and safety of the high pressure pipe. It is on the basis of this further information that it is reopening its original hearing which sat in May and June 2009. Shell E&P Ireland said it believes its new plan for the pipeline “meets or exceeds” all “relevant” international and national codes and standards. The nearest occupied house will now be 234 metres from the pipeline – more than three times the original distance, the developers state. The developer’s proposal to construct a tunnel for the pipeline under Sruwaddaccon “will have the least environmental impact” on the estuary, which is a special area of conservation, Shell E&P Ireland managing director Terry Nolan has said. The original pipeline route – opposition to which led to the jailing of the Rossport five for 95 days five years ago – was exempted from planning and given approval by former minister for the marine Frank Fahey. A modified route which avoided housing in Rossport was then submitted for planning approval. This latest and third route avoids Rossport altogether, but comes ashore at a landfall already constructed by the developers at Glengad before running under the estuary. A large security presence was in place at Glengad and along the shoreline of Sruwaddacon estuary last night as Shell contractors moved equipment in for investigative work on the proposed new pipeline route. The company was given a foreshore licence for the investigative work by Minister for the Environment John Gormley. Gardaí and private security personnel arrived in the area early yesterday evening. Shell intends to drill up to 80 boreholes in the estuary as part of investigative work on the proposed new pipeline route. WASTE POLICIES which would make large incinerators such as the facility under construction at Poolbeg in Dublin unviable have been published by Minister for the Environment John Gormley. The Draft National Waste Policy, released for public consultation yesterday, states as its aim a move away from landfill and “mass-burn incineration” towards recycling and mechanical biological treatment by using “all appropriate legislative and fiscal measures”. The document reiterates the intention, already sanctioned by Government, to introduce a levy on incineration, but goes further by proposing punitive fines for local authorities who do not prevent waste from going to landfill or incinerator sites. It also proposes moving control of waste regulation, licensing and enforcement from local authorities to a national agency, and scrapping regional waste-management plans in favour of national plans devised by the minister of the day. Mr Gormley announced his intention to change national waste policy in 2007 on the day An Bord Pleanála granted permission to Dublin City Council for the 600,000-tonne capacity incinerator at Poolbeg. He later commissioned environmental consultants Eunomia to conduct an International Review of Waste Management Policy. The draft waste policy is based on this review. Speaking on the publication of the document yesterday, Mr Gormley said the policies were his vision of sustainable waste management, which recognised waste was a resource that could create jobs – “not a problem that has to be buried or burned”. The Poolbeg incinerator was “totally incompatible with this policy”, he said. In a statement last night, apparently showing unity within the Government on the issue, Taoiseach Brian Cowen welcomed the draft policy, saying it was “a welcome step in the process of deciding on a credible and practical policy for the development of a sustainable waste management sector for the next decade and beyond”. The policy would prevent local authorities from entering into contracts for disposal of waste which they did not directly control. Mr Gormley also made reference to a ruling this week by the Competition Authority that the Poolbeg project was not in breach of competition law. The ruling was “not a clean bill of health” for the facility, and the authority had said there were issues it intended to investigate further. Legislation for the incineration levy has been well flagged and is now at draft stage. However, the document introduces a new financial constraint on “feeding” the incinerator through proposing that local authorities would be fined €50 per tonne of residual waste (ie waste that must be landfilled or incinerated) above set targets for households in their area. The measures most likely to concern local authorities on a national level would be the transfer of control for waste regulation to a “single nationally administered arrangement” and the transfer of responsibility for waste planning to the Minister. Dublin City Council yesterday said it would study the Minister’s policy, but that the Poolbeg contract was entered into in line with current Government waste policy and the current Regional Waste Management Plan. “Any proposal which might alter that policy at this stage could have serious repercussions for the Dublin region and thereby the State,” it said. ROSSLARE STRAND has been a holiday resort since the railway station there was opened in 1882 and was characterised until recently by modest holiday homes, clad in painted corrugated iron sheeting. During the boom, clusters of suburban-style houses were developed in and around the village – generally also to serve as holiday homes. “There is a lot of [Dublin] money chasing a home in Rosslare and really most of the village has been developed,” one local source said. Wexford County Council’s 2002 local area plan for Rosslare specified that “new building designs must respect the existing village character, scale and streetscape [to] enhance the appearance of the area”. It also sought to “maintain coastal areas/headlands free from development”. However since this plan expired in 2007, and with no new local area plan to replace it, there has been a series of decisions to permit very large individual houses on Cliff Road – which were all overturned by An Bord Pleanála for being “out of character” with the area. The county council denied any irregularities in its handling of recent applications to build large- scale houses at Cliff Road, Rosslare Strand, an area known to be at risk from coastal erosion and subsidence. The council itself noted in 2008 that there were “visible signs of cracking on the road itself”. Some local residents and holiday home owners fear further housing development in the area could ultimately result in their own properties falling into the sea. This followed a written complaint by Dublin resident Weston Allen, whose parents own a semi-detached bungalow at Cliff Road. Mr Allen and others had objected to development in the vicinity, including a large house planned by Brendan Hickey of Davy Hickey Properties. An offshoot of Davy Stockbrokers, Davy Hickey Properties spearheaded the development of Citywest Business Park, in which Mr Hickey held a substantial stake. Other shareholders included David Shubotham of Davy and former lobbyist Frank Dunlop. Designed by Crean Salley Architects, Mr Hickey’s proposed 407sq m house was described as “a detached, two-storey, four- bedroomed house with boathouse/ garage and gazebo, balconies to bedrooms” on the front elevation an+d high boundary walls. Carmel Brislane, the junior planner who dealt with this application, considered that the height, mass, scale and design of the house would “seriously injure the amenities of the area”. But Ms Brislane’s report noted that senior executive planner Marcus Linehan had “assessed the plans at pre-planning [stage] and informed the application [sic]/ agent that the plans are acceptable”. Accordingly, she “considered it is unreasonable” to recommend refusal. After Mr Allen and others appealed to An Bord Pleanála, planning inspector John Desmond noted that the council had previously refused permission for a three-storey house on the same site on the grounds of visual impact and concerns about the stability of the cliff. Mr Desmond’s report also noted that the appeals board had overturned three other decisions by the council to grant permission for houses there because it considered that they would be out of character with the generally single-storey pattern of housing in the vicinity. The inspector described the dune system and beach area of Rosslare Strand as “delicate ecosystems under threat” and said that any new developments along the seaboard “should respect, not exploit, their exceptional coastal location”. In Mr Hickey’s case, he wrote that the planned house “reads as a large suburban home and inappropriate in the modest and exposed coastal setting”, while its “formal stone boundary wall with railings atop also bears no relation to the character of the area”. An Bord Pleanála agreed, refusing permission on the basis that the height, scale, massing and design would be “out of character with properties in the immediate vicinity” and would be “unduly visually obtrusive on this exposed coastal site”. Notwithstanding the board’s decision, Mr Hore said the council’s senior planner and the county architect were “happy to recommend the development as applied for, subject to conditions”. It was also a “relatively rare instance” where the planners disagreed. Mr Hickey, who is from Wexford, had previously got permission for six two-storey houses on the site, which he bought more than 20 years ago, but he decided not to proceed with these plans, opting instead for a future family home. He would not comment further. A plan by Co Laois businessman David Keane would demolish an existing bungalow – reportedly bought for €1.3 million in 2007 – divide the site and replace it with two new houses, one a substantial dormer bungalow and the other a two-storey house. Mr Hore defended giving advice to applicants, particularly at pre-planning stage, as good practice. However, he told Mr Allen that he agreed with his contention that “in this case, it would have been most helpful if the reasoning had been more clearly set out on the original planning file” and he would direct that this be done “in all instances such as this”. 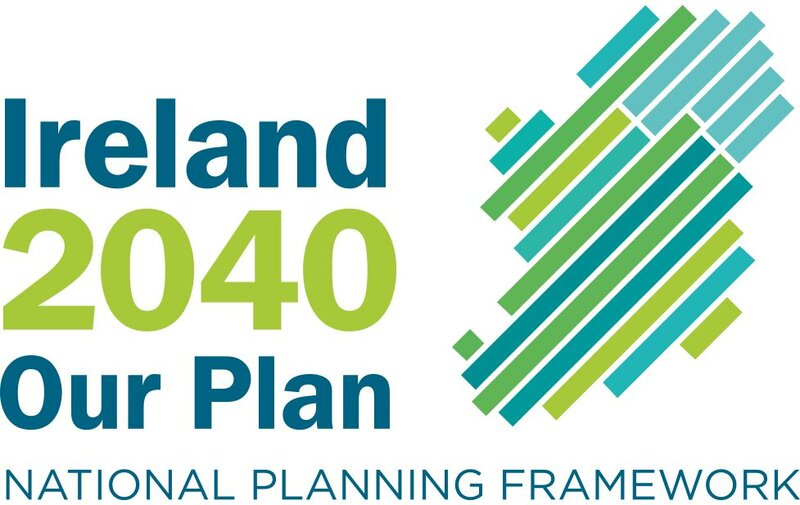 Wexford is not among the seven local authorities whose planning performance is being subjected to a two-stage review, in response to dossiers submitted by An Taisce and others. Mr Allen has now written to the Minister calling on him to include Wexford County Council in the current planning review, saying its recent handling of planning applications “on our small cul-de- sac of only some 750m, indicates to me that all is not well”. Gerry Crilly, a member of An Taisces national council, has been opposing suburban-style development in Dunleer, Co Louth, for the past 10 years. This article, published in the Irish Times reflects on this work. More than 600 nationally of these are identified as “ghost estates”. If we are to recover from this, we needs to recognise what went wrong. Misguided ideologies – “more is good” and “bigger is better” – have led to an unsustainable existence, globally, nationally and locally. When we examine where we are now, we see clearly what these misguided ideologies have created. The only way we can progress from here sustainably is to honestly appraise and understand what happened. A very narrow programme of “progress, growth and development” was pursued over the boom years by developers and their political hacks. Now, in recession, the inevitable has happened, yet we are led to believe that we are in recovery. We are not. The delusion continues. We remain firmly focused solely on the economic, to the detriment of the environment. It is not enough to blame politicians, bankers and developers for the scars and sores we have inflicted on our landscape. We are all culpable. We have participated in a monocultural, developer-led, expedient exploitation of land that unfolded right across the country, with little regard for social consequences. The diversity of our island habitat was completely ignored, with passive consent from the general public and active promotion by county councils. The ideology of development at any cost was not only encouraged but led from the very top. Many individuals felt entitled to profit, irrespective of the cost to their fellow citizens. Opposition was considered unacceptable and “anti-progress” and was oftentimes dangerous for those who dared to do so. Dunleer, a rural village in Co Louth, was subject to the same all-pervasive greed and to the potential negative consequences of unacceptable development on the quality of life of a coherent community. Realising the disastrous path to which we appeared to be set, I sought to promote sustainable development. I familiarised myself with how the planning process worked and became eager to play an honest and positive role in support of the community. In 1998, I approached the school of architecture in UCD to compile an urban design strategy for the village, which then had a population of 985. I was supported in the work initially by Louth County Council, the Heritage Council, An Taisce and the goodwill of the community. In May 1999, I established and chaired a steering committee that identified the need for a local area plan. In June 2000, we employed the services of planning consultants New Ground/Talamh Nua to compile a proposal. The objective was to promote a planned approach, based on consensus and shared interests, which would avoid confrontation and retain good relationships within the village, in the context of an incremental population increase. Following a village “think in”, a proposal was submitted to the county council, but ignored. Instead, architects and planning consultancy Murray O’Laoire was commissioned by the councillors to prepare a draft local area plan, with a view to a population increase to around 3,000. Immediately after presentation of the draft plan, five local councillors, unhappy with this plan, drew up their own, which largely consisted of a line drawn on a map showing the land they wanted zoned for development, with a suggested village population increase of 40,000-50,000. This was deemed inappropriate and, on the advice of the county manager, the group of five engaged a local consultancy to draw up a third plan, which was subsequently modified and adopted as the local area plan in 2003 (projected population increase of 4,000). The current population of Dunleer is 1,830. In order to promote sustainable development, I resigned from the steering committee and the community development board and actively involved myself in appealing unsuitable developments to An Bord Pleanála on behalf of An Taisce. I strongly resisted the attempts being made to develop the area around the former railway station in advance of any coherent plan to reopen the station. A landowner in this case also happened to be chairman of the community development board. The appeals board was consistent in refusing proposed developments that were clearly inappropriate to this rural settlement and that would interfere with the reopening of the railway station. These refusals included a 155-unit housing development, 167 apartments, 350 underground car parking spaces, more than 21,300sq m (229,272 sq ft) of residential and retail development and a number of smaller schemes. In appealing over an 11-year period the county council’s decisions to grant planning permission, I simply reiterated both local and nationally accepted policies. The fact that An Bord Pleanála upheld all my appeals illustrates the unacceptability of the developments that were being permitted by the council during this period. The consequences of my individual actions have saved the village of Dunleer from a great deal of the ravages of the Celtic Tiger era. If such steps had been replicated nationally, our island would not now be suffering in its aftermath from inappropriately sited, poorly designed, overpriced and, in many cases, unfinished housing developments. The development proposals for Dunleer reflect a mindset that has brought us to where we are nationally, to the detriment of community, society and sustainable development. What was proposed for Dunleer was mirrored exactly at the national level. Both during and after the Celtic Tiger, we were and still are being let down by all pillars of society – political, religious and financial. Present and past leaders have admitted to pressure from vested interests. I am familiar with such pressure at a local scale. If I can withstand it as an individual, why can’t they? We live on a beautiful, though scarred island. We have a landscape that should determine our development strategies. We have a diversity of character from county to county and distinctive local traditions that need to be incorporated into our recovery as communities and as a nation. Global climate change is going to significantly influence much in our lives in the future. Car-dependent, commuter-based housing developments cannot be the rationale for future planning of our towns and villages. To position Ireland to cope with climate change, we need a quality of leadership and open debate that we have not had in the past. To recover and move forward, we need to shake off the shackles of silence and honestly confront behaviour that is crippling us but gradually being exposed in various reports and tribunals. We, in our communities, must take ownership of our landscape, our heritage and our settlements and sustainably plan for the future. A NINETEENTH-century chapel is due to be demolished following a decision by An Bord Pleanála to allow construction on the St James’s Hospital campus in Dublin. The chapel, built in the 1890s, will be demolished to allow for the development of an eight-storey, 196-bed private hospital, on a 1.148 hectare site, located on the existing campus. The chapel is thought to be connected with the South Dublin Union workhouses on the southside of Dublin’s inner city, which was one of the main sites of the 1916 Easter Rising. In January, Synchrony Properties was granted permission by Dublin City Council to develop the facility, which will employ 400 people during its construction and have about 545 full-time staff when completed. Local residents and a number of local politicians opposed the council’s decision to approve the plans and made an appeal to An Bord Pleanála, which upheld the original decision in favour of development. In its ruling, the board stated that the development of a “high quality hospital” justified the proposed demolition of the chapel because it was not listed under the Record of Protected Structures (RPS). However, the ruling stipulates that the developers must pay an insurance bond of €1 million to ensure the demolition process coincides with the commencement of work on the new development. Labour TD Mary Upton was one of the appellants along with her party colleague councillor John Gallagher. Ms Upton said she was “absolutely horrified” that the council halted their decision to list the chapel as a protected structure. Mr Gallagher said the council’s south-central area committee had agreed in May 2008 to begin the process for listing the chapel RPS. The proposal to list the chapel as a protected structure was “unanimously agreed upon” and should then have gone before a full city council meeting, where it would “almost certainly have been passed”, added Mr Gallagher. Council officials have a role in the preparation of reports which recommend whether a building is included on the record, but the addition or deletion of a structure on the RPS is a reserved function of city councillors. Dublin City Council documents show senior officials halted the proposal to make the chapel a protected structure, after they were made aware of the significance of its location and its obstruction to development on the campus. The council reversed its decision to add the chapel to the RPS less than one month after the chief executive of St James’s Hospital protested against the proposal. In March 2008, a conservation officer working for the council said the chapel held significant historical, architectural and social value, which merited its inclusion on the record. However, in August of that year, the same conservation officer reversed the decision “in light of the arguments put forward” by the hospital official, which disputed the chapel’s historical significance. In a letter, the chief executive officer of the hospital said the protection of the chapel would obstruct development on the site, which would prevent the implementation of Government and HSE strategy to deliver healthcare facilities. A statement from the city council said the process of listing the chapel as a protected site was halted because it was made aware of a proposed development on the hospital campus. The new development is planned as one of a number of co-located private hospitals intended to be built in the grounds of existing public hospitals under a Government plan announced in 2005. None of the five hospitals has yet been built. A DECISION is expected from An Bord Pleanála later this week on whether a 120-bed women’s, children’s and maternity hospital in south Dublin can proceed. The Beacon Medical Group has been seeking to build the hospital for a number of years. Planning permission was initially refused by Dún Laoghaire- Rathdown County Council in 2008 due to a lack of sufficient infrastructure and foul water drainage in the area. However, when these issues were resolved, planning was granted for the €160 million development in Sandyford late last year, but the National Roads Authority (NRA) and a local residents’ association subsequently lodged objections with An Bord Pleanála. An oral hearing on the matter was held by the board last month, prior to which the NRA withdrew its objection to the development. However, the hearing proceeded and local residents expressed concern about the lack of an overall development plan for the Sandyford area rather than objections to the hospital per se. A decision from An Bord Pleanála is now expected by Friday. Since the conclusion of the oral hearing, Michael Cullen, chief executive of the Beacon Medical Group, wrote to Lakelands Residents’ Association, which lodged the objection, urging it to withdraw it. Mr Cullen claimed the loss of the hospital would be “tragic” for the area, not least because 550 jobs would be created during construction. The letter of objection from residents has not been withdrawn. Sean Dineen of the residents’ association said people were fed up with the failure by Dún Laoghaire-Rathdown County Council to provide a local area plan for Sandyford. As a result, the residents had decided that until one is presented, an opinion from An Bord Pleanála would be sought on every development of more than five storeys in the area. “We would just like An Bord Pleanála to give their comments on what is happening in Sandyford. That is all. We have nothing against a hospital,” he said. SOME OF Ireland’s top surfers yesterday expressed concern about the impact a planned €6 million pier at Doolin could have on one of Ireland’s best-known waves. Last month Clare County Council lodged plans for the pier, which is expected to increase passenger numbers going to the Aran Islands from Doolin. However, an online petition has been signed by 2,700 people concerned over the impact the proposed pier development would have on the waves at Crab Island and Doolin Point. Footprint’s 380-page Surfing Europe guide describes the “Crab Island” wave as Ireland’s answer to the legendary “Pipeline” wave in Hawaii and one of Ireland’s top five waves. Veteran surfer Kevin Cavey, who is widely credited with introducing surfing into Ireland in 1964, said he was opposed to the pier development if the council would not be carrying out detailed studies into the possible impact. Three-times Irish senior surf champion John McCarthy yesterday described the wave off Crab Island as “the perfect wave”. Long-time surfer Tom Doidge Harrison said: “Crab Island and Doolin Point are unique locations where waves right out of the top drawer of the world’s limited surfing resources break. As the council is seeking planning permission from its own planning department, there is no recourse for third parties to appeal the decision to An Bord Pleanála. A 500-ACRE bog in Co Offaly has been chosen as the proposed site for an “eco water park and reservoir” as part of Dublin City Council’s plan to pump water from the river Shannon. The council is proposing a €540 million, Government-funded project which would supply 350 million litres of water a day to the Dublin region. In a move likely to meet strong opposition from west of Ireland interests, the council is seeking to source water from the Shannon to serve the capital’s drinking water needs for the next 70 years. The council says the project would also supply water to residents and businesses in Meath, Wicklow, Kildare, Offaly and Westmeath. In a statement yesterday, the council said the project would create an “innovative water based eco-park with fishing, boating, cycling, water and leisure sports” in the midlands. It said 1,000 construction jobs would be created alongside an unspecified number of long-term tourism and recreation jobs in the midlands. Consultants for the council, RPS and Veolia Water, envisage the water being taken from the Shannon at Lough Derg during periods of flood and high flows only. The water would be stored at the new “eco park” at Garryhinch Bog, from where it could be pumped to Dublin or even back to the Shannon to be used during periods of low flows, according to the consultants. The Shannon is subject to considerable flooding in winter but navigation hazards are frequently exposed in times of drought. The average amount of water to be taken from Lough Derg under the proposal is 2 per cent. Consultants say this water currently flows into the Atlantic ocean every day. Bord na Móna has expressed support for the project which is seen as being in line with its new corporate strategy. The board has recently received approval for new wind generated energy to supply up to 45,000 homes and the consultants claim this could be used to power the proposed midlands eco park. Details of the plans to take water from the Shannon are to be presented to the city council’s strategic policy committee on Thursday. An environmental impact statement process will be undertaken and a planning application submitted to An Bord Pleanála, which will make the final decision on the project. The project does not require the permission of any local authority in the Shannon region, but would be dependent on funding from the Government. Shannon Water Protection Alliance chairman Martin McEnroe said yesterday plans would be considered and given a measured response. But he said it made little sense under any national spatial strategy to locate factories and people on the east coast and to pump resources there to follow them. AN BORD Pleanála has blocked plans by Citywest to develop a two-storey building for use as a banking facility on the northern side of the N7 Naas Road at the Citywest interchange in Dublin 24. The 1,096sq m (11,797sq ft) building had been planned for a site between a filling station and a motor distributors at Browns Barn. THE CUT price fashion and homeware retailer TK Maxx is to open a major store in Newbridge only weeks after dropping plans for a similar outlet at the Ilac Centre in Dublin city centre. An unusual feature of the New-bridge letting is that the American trader will be paying the landlord 5 per cent of its turnover rather than a standard rent. The deal underlines the radical changes being sought by an increasing number of high profile multiples since the downturn in consumer spending took hold at the start of 2009. Though many provincial landlords are happy to settle for a percentage of turnover where big name traders are concerned, the owners of premises in prime Dublin locations still prefer a straightforward rental agreement or, at the very least, a significant base rent as well as a percentage of the turnover. TK Maxx recently offered the owners of the Jervis Centre in Dublin a base rent of €1.2 million as well as 7 per cent of the turnover. But with several traders chasing the same premises, the owner Paddy McKillen opted for US fashion giant Forever 21 at a rent of €2.75 million per year. Meanwhile, negotiations between TK Maxx and Dunnes Stores on taking over the Irish company’s former department store in the Ilac centre have apparently ended without agreement. Dunnes is trading out of part of the space as well as from a store fronting on to Henry Street. TK Maxx has just taken a 20-year lease of the stand-alone store of 2,322sq m (25,000sq ft) close to the Whitewater shopping centre in Newbridge. There will a break option in year ten. Projections from the company suggest that its turnover should range between €6 million and €8 million per annum. If either of those figures are reached, then the rent going to landlord Tom Treacy will be between €300,000 and €400,000 per annum. Penneys traded out of the same store on a temporary basis until it developed its own retail building along the main street. TK Maxx was one of four companies in contention for the store. Darragh Cronin of Savills advised the landlord on the deal. Colliers International Dublin acted for TK Maxx. In Waterford, the same trader is considering relocating to the new Railway Square mixed use scheme near the city centre following a decision by An Bord Pleanála blocking the company from trading in Butlerstown Retail Park on the city’s outskirts. Another local developer objected to the type of goods being sold by TK Maxx. The company opened the shop about 20 months ago after securing planning permission from Waterford County Council. The High Court has since ratified the ruling of the planning appeals board and is expected to set a date shortly for the closure of the store. The owner of the park, Jim Tracey, has moved to seek a rezoning of the park under a review of the development plan due next year. TK Maxx is paying a rent of almost €500,000 for 2,415sq m (26,000sq ft) in three adjoining buildings which were amalgamated. The 20-year lease provides for a break after 10 years. A decade of hard work and persistence on the part of a talented team of craftsmen and a dedicated owner has restored a 100-year-old fortification to its former glory. PITY THE poor lord of the manor who found himself out of favour several centuries ago. Destruction of his “crenellation”, or castle battlements, was the favoured punishment – the equivalent now perhaps to having one’s Mercedes SLS or Lexus being repossessed. So when the final stone was laid recently in the restored battlements of Claregalway Castle, it was a moving occasion for Galway-based eye surgeon Eamonn O’Donoghue. O’Donoghue spent the past decade returning the 600-year-old fortification to its former glory. In doing so, he has overcome successive planning challenges and some serious flooding, when the Clare River burst its banks last winter. And last weekend, he let down an imaginary portcullis, when the tower house opened its gates to the first Galway Garden Festival. Lesser men would have wilted, according to members of restoration team. However, O’Donoghue’s affinity for the de Burgo structure dates back to childhood, when his parents took the family for picnics in the ruins. The castle had one large tree growing up through it, and much of an upper floor was hanging on by a thread, O’Donoghue says. His captivation never quite left him, and it was always in his mind’s eye during many trips he made abroad on volunteer work in developing countries. “After I acquired it almost 10 years ago, the first three years were spent consolidating what was there,” he says. His brother, Nioclás, became project manager, and David Johnson was engaged as architect. Mike Herwood, who O’Donoghue describes as a “very versatile, ingenious builder”, led the construction team, which also included woodwright Paul Price and builder Martin Cunningham. “Herwood brought out the best in people like Jean-Baptiste Mauduit, who has worked with the French guild of stonemasons, and Sebastian Osuch, along with Paul Price and Martin Cunningham,” O’Donoghue says. The limestone for restoration came from Ballinasloe, east Galway, and the green oak for the extensive woodwork from Mountbellew. Timber fastenings were used instead of metal or steel. However, the fact that the former owners maintained an anachronistic central hearth in the main hall led to a protracted challenge. A fumeral or medieval chimney was installed, allowing smoke to escape through a series of timbered louvres in the elevations. This was not part of the original planning approval. Galway County Council was “very supportive, with judicious engagement”, O’Donoghue says, but the Department of the Environment had difficulties as it believed there was no historical precedent for the fumeral construction. The project was referred to An Bord Pleanála. “Let’s say that we got caught in an esoteric exchange of detail,” O’Donoghue explains. The fumeral scale was reduced and its visual impact “improved”, to the extent that the appeals board ruled that it would be in keeping with the tower house’s character and integrity. So when the Clare burst its banks during the extensive flooding in the west last year, O’Donoghue wasn’t phased. “It was not our biggest problem!” he laughs. The team is particularly proud of the battlements, which offer a stunning view across four compass points and which were designed after an “enormous” amount of research into same in the west, Leinster and parts of Ulster. Claregalway tower house dates from the early 15th century, when it was inhabited by the de Burgos, the Anglo-Norman adventurers who arrived as conquering mercenaries several centuries before. King Henry II granted the province of Connacht to William de Burgo, and it was “regranted” to his son Richard in 1215, who established 11 towns or boroughs in what is now Co Galway. As a feudal lord, Richard generally tried to impose a bit of order in what both he and his father had regarded as troublesome territory, securing and developing what was then Galway town and seaport. When the de Burgo influence began to wane in the town, Claregalway’s tower house provided a lucrative income as a border post, O’Donoghue says. “They ran it a bit like the Berlin Wall, ensuring that this one and only access point to the north of the county controlled all movements and yielded valuable dues,” he says. Neighbours were the Franciscans, who had established a friary close by in the mid-13th century, while nuns ran a hospital for lepers. Recent carbon dating of samplings of wickerwork found in the vaults dates the tower house construction to between 1408 and 1430. It played a central place in the historic battle of Knockdoe with the Earl of Kildare forces in 1504. It eventually fell into the hands of Confederates, who took it by surprise in 1643 “through the contrivance of Jonakin Lynch . . . the carelessness of waders, and the management of a Franciscan friar”, according to Galway historian Seán Spellissy. Cromwellian forces seized the tower house in 1651, and used it as a garrison during the 1651-2 siege of Galway – the last city held by Irish Catholic forces during Cromwell’s conquest. By 1837, a contemporary account noted that the remains were in good order and that it must have been a “fortress of great strength”. “We feel we have done a rare thing and we’ve opened up a landscape,” O’Donoghue says. “A lot of people think of tower houses as solitary structures but that was because surrounding walls were knocked, and then the wider settlements disappeared. All profits from last weekend’s festival went to the Christian Blind Mission.